Ask us for better price - and free samples with free shipping. Our offer - 50pcs of free samples with free shipping to you office - 7-8 days delivery time. Order white PVC cards in best price in EU from us and you will save up to 50% of your costs! Best quality. Made in EU. We are lookig for serious partners in every EU country. 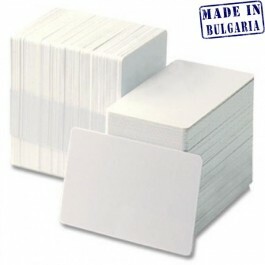 Ultra white plastic card,30 mil. We offer - 50pcs of free samples with free shipping to you office - 7-8 days delivery time. The ID-1 format specifies a size of 85.60 × 53.98 mm (3.370 × 2.125 in) and rounded corners with a radius of 2.88–3.48 mm. It is commonly used for banking cards (ATM cards, credit cards, debit cards, etc. ).